House prices are high right now, and there’s no clear evidence of that changing anytime soon. If you’re looking to sell your house in this market, that 6% commission you’re going to pay the realtor could represent a hefty chunk of money. You can double this advice if we’re talking about a home in L.A.: the average value of a home in Los Angeles, according to the Los Angeles Times, is over $550,000 as of the time of this writing. Some quick math puts 6% of that sum at a whopping $33,000 dollars that you’d keep if you decide on selling a home without a realtor. And that’s only the average. Consider the savings if you’re selling a million-dollar home or higher! While it’s possible to sell your home without a realtor, we have to look at the reality of the situation – you’re going to be your own boss on this project. Before you make the decision to can the realtor (which can be intensely profitable), make sure you’re certain. Every ounce of marketing is going to fall on your shoulders. If you’re doing it yourself, that means putting your home on every real estate website you can think of. That means creating handouts, that means getting a sign made and planting it in your front lawn. Not only will it be your job to keep your home clean and organized during the entire sale process, you’re going to be planning, marketing, and hosting either open houses or setting up appointments for walk-throughs with potential buyers. Just because you’re selling a home without a realtor, doesn’t mean your potential buyers won’t have one. You’re going to be communicating with the realtor, haggling, following through on offers, the whole boat. So, you’ve decided to go without a realtor, which is great news for your wallet! The first step on the path is to find the actual value of your home. Not the value you want it to be, but a deliberate and well-researched assessment of the market as it stands. First, you’re going to have to let go of what you paid for the house and what you want the value to be. Check out recent sales of homes in your area, homes similar to yours. Websites like Zillow are going to be your target to find fair comps, and even offer free assessments just by typing in your address. Take this as a starting point – you’re going to want to confirm this with your own legwork. Look at the location, make sure it’s in your neighborhood. Compare square footage, age of the house, style of the house, driveway accessibility, garage size, front and back lawns, bedroom and bathroom amounts, air conditioner style (if the AC is installed at all), pool, and perhaps most importantly the state of the house. Something as simple as a coat of paint can get buyers’ attention, so you’ll have to look at your home with a clear head to spot problem areas that the comp may not have had. While coming in over your home’s value is going to make it languish in the listings, there’s a danger in underpricing. You may be tempted to underprice, knowing that you’re going to pocket some of that commission money and can afford it, but that may key the buyer’s agent in that, without a realtor to advise you, you may be an easy mark to take advantage of. 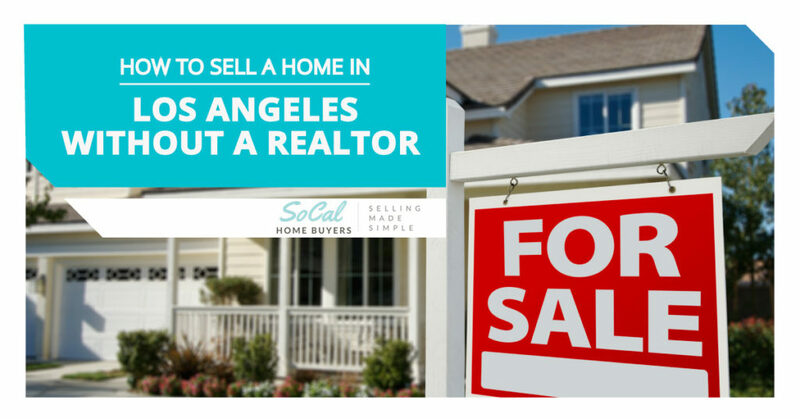 Don’t forget, in Orange County and L.A., some of the money you would pay your realtor actually gets paid out to the agent of the buyer as well. And while you don’t necessarily have to pay that commission if you’re not using a realtor, some buyer’s agents may try to make it happen. Which, is really a choice you’re going to have to make for yourself. A promised commission for a buying agent is going to goose your listing a little and get more buyers in the door, but, then you’re losing a chunk of that cash you’re trying to keep a hold of. Without a realtor’s access and knowledge, you are going to be your own advertising agency. Here are a few quick tips to making the most out of your marketing budget. Photos, photos, photos. We can’t say this enough. A listing with only one questionably lit picture of the curbside at an oblique angle will turn off all potential buyers. Try to get every angle of the exterior of the home that you can think of – some people are even using drone cameras to capture high-angle shots of the house, and sweeping aerial views that spell out the entire layout of the exterior. It’s easier to take photos than ever before with cell phones, but lighting is still the key factor in any good shoot. Make sure you take your interior photos during the day, with as many windows open as you can spare. Next, don’t forget “angle of attack.” Many interior photos of bedrooms, for instance, fail to truly capture the space – a flat picture is going to hurt you. If you can, try taking the picture from the very corner of the room – a low angle can do wonders, as well. Anything to give the room a sense of dimension, so it doesn’t just look like a picture of a wall. Editing and color correcting these photos are on you, too, so if you don’t have a tech-savvy friend who can help, you can use a free program like Photos Pos Pro to do the work yourself. 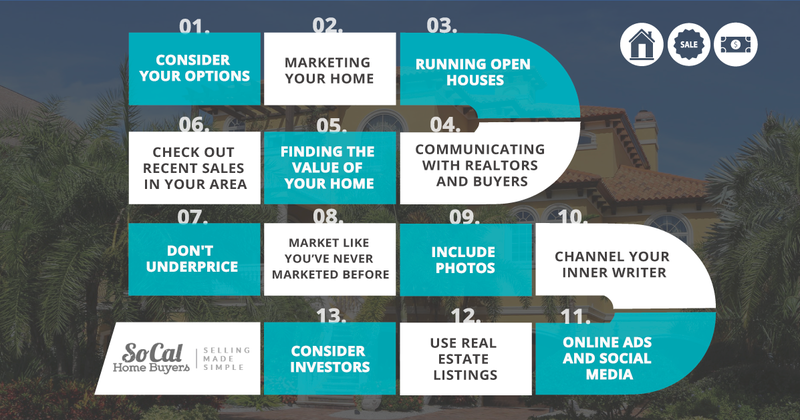 If you’re selling your home without a realtor, you’re going to be writing the brochures, the descriptions in the listings, and communicating with buyers and all manner of advertising types. You don’t have to write the great American novel or anything, but you do have to put something together that is pleasing to the eye. Just remember the key trick to writing descriptions – keep it short, keep it simple, and don’t use a big word where a small one will do. Don’t be afraid to use every online venue to get the word out about your house. When done right, online has the greatest reach of any other method, so dive in with both feet. Websites like Trulia and Zillow are two of the most popular home-buying websites, so put your listings up there first. Instagram messages of a certain type together, making it easy to quickly peruse. Write a short description of the home you’re trying to sell, and use one (or even a few) of these hashtags to maximize your reach: #HouseHunting, #HomeSale, #Housing, #NewHome, or #RealEstate. Remember to do this a few times a week so that your message doesn’t get buried. Newspapers and circulars still offer plenty of room for real estate listings – don’t make the mistake of thinking the internet has killed the newspaper star just yet. While it’s true print isn’t the juggernaut it used to be, consider that not all home buyers are tech-literate internet gurus. The older demographic buys homes too, so why limit yourself? Check out a website like SoCal Ads Online, which allows you buy an ad for dozens of papers, including places like the Los Angeles Daily News, the Pasadena Star-News, and the Long Beach Press Telegram (and more). Not only do the ads appear in print, you can also choose to list them in their online marketplaces as well, killing two birds with one stone. If all this is sounding like too much work, there is another solution. There are investors out there now looking for homes to buy, and websites like Southern California Home Buyers will make an offer on your home with a guaranteed sale should you agree. This is also a good option if you don’t have the time or budget to fix your house up – investors are sometimes looking to do that themselves, which means less hassle for you anyway. Plus, investors are a good option if you don’t have a lot of time on your hands to wait for a sale – if both parties agree on the price, they can often swoop it up in as little as a week. Remember, the fate of your house and your wallet is entirely in your hands, and that’s an exciting feeling. With a little chutzpah and elbow grease, you’ll be selling your house in no time, at just the right price, and you’ll always remember the pride of doing it all alone. And, of course, the extra money you’ll have from selling a home without a realtor.